A close-up filter is an affordable way to improve your macro and close-up photography with your current lens, find out how this close-up filter performs in our review. The HOYA PRO1 Digital Close-up No.3 Filter is a +3 dioptre close-up lens that simply screws onto the front of a lens to give you improved close-up and macro performance. The lens is available in 52, 55, 58, 62, 67, 72 and 77mm filter thread sizes, priced at £64 for the 58mm version reviewed here. The Close-up No. 3 turns a normal lens into a macro lens by reducing the lens' minimum focusing distance, with a shallow depth of field. They can also be called a close-up lens, or a macro filter. The lens simply and easily screws onto the front of the camera's lens. Previously close-up filters or lenses have had a bad reputation for giving poor image quality, particularly at the budget end of the market, where they are often sold in sets. These sets can be stacked, which then exaggerates any image quality problems, making them seem even worse. 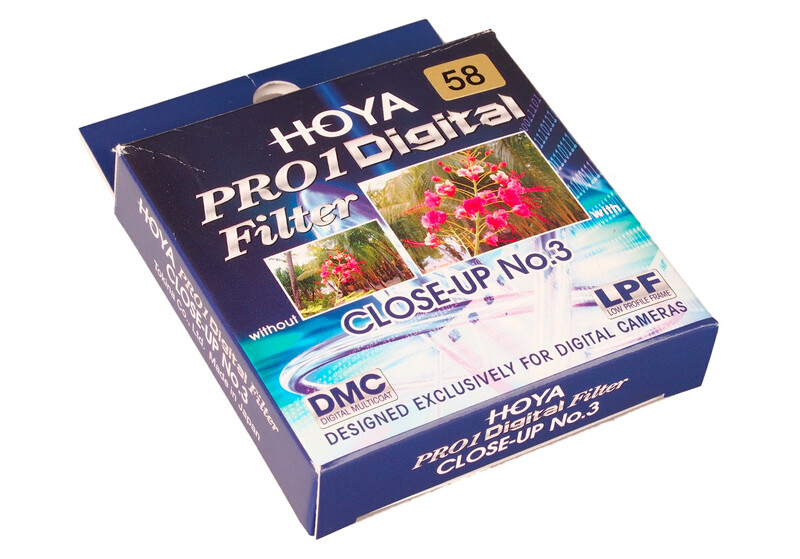 The HOYA PRO1 Digital Filter series is designed to be a high-quality filter made with digital photography in mind, and the Pro1 Digital Close-Up +3 filter is priced accordingly. It is multi-coated to reduce lens flare and ghosting, with a black almite frame to reduce reflections, as well as black rimmed glass to reduce light reflection around the filter edge. The performance section is where we look at the image quality performance of the kit. 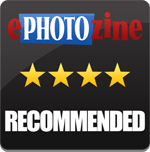 Additional sample photos and product shots are available in the Equipment Database, where you can add your own review, photos and product ratings. How close you can get to your subject depends on your lens' current close focusing ability, the close-up filter will let you get much closer, with a more dramatic effect if your lens can already focus quite close. You can stack multiple close-up filters to get even closer, however the image quality is likely to suffer, particularly with budget filters. Using the close-up filter also has the benefit of leaving the lens connected to the camera so that autofocus and lens settings can still be controlled by the camera, unlike when using a reversing ring, or some other methods of adapting a normal lens into a macro lens. Using the PRO1 Plus 3, the image stays detailed into the corners of the frame, whereas with the standard Plus 3, the corners become noticeably soft, although for the best results, using your lens at its telephoto position is recommended. There is noticeable barrel distortion when using the close-up filter with your lens set to the wide-angle position. There is very little distortion when using it with the lens at the telephoto setting, with this giving the best results. Studio photographs where the subject is in the centre of the frame look very good, with an impressive level of detail. There are no problems with the corners of the image, even when the strawberries are in the very corner of the frame, and chromatic aberrations aren't present. 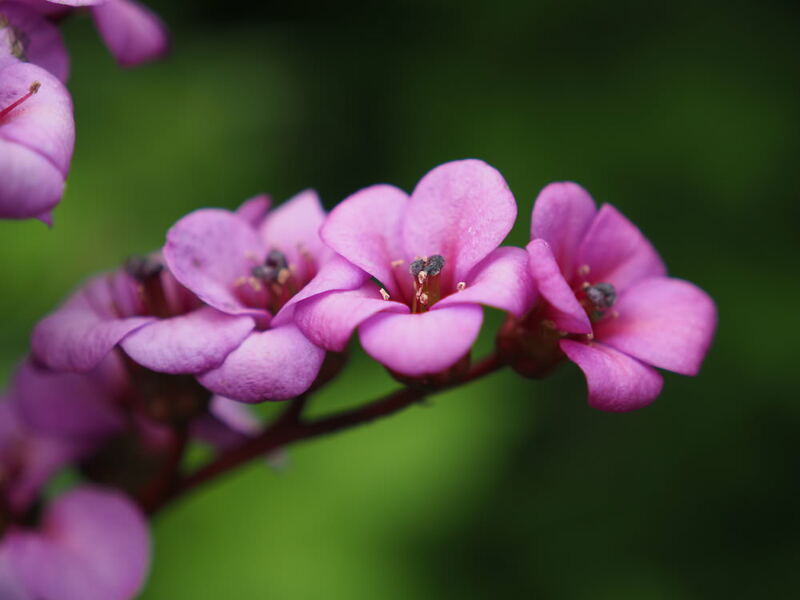 Using the close-up filter outdoors for photography of plants and critters, the lens improves the close-up focusing of the lens noticeably, turning a lens with average macro ability into a lens with good macro performance. With a closer focusing distance, the close-up filter improves the look of 'bokeh' and helps defocus the background for better subject separation. The HOYA PRO1 D Close-up No. 3 filter is available for £64 in 58mm size, which makes it quite expensive compared to a Hoya 58mm Close Up +3 filter available for around £20. However, the image quality available from the PRO1 D version would make it worth the investment. It is priced well when compared to the average price for a dedicated macro lens, with a dedicated Nikon 40mm Micro lens available for £185, Canon 50mm Macro lens available for £205, Sony 30mm Macro available for £150, Pentax 50mm Macro available for £299, Olympus 60mm Macro available for £360, Panasonic 30mm Macro available for £299, Samsung NX 60mm Macro available for £420, and Fujifilm 60mm Macro available for £444. Adding a high-quality close-up filter such as the HOYA PRO1 Digital Close-up No.3 filter is an affordable and cost effective way of turning any lens into a macro lens. It will improve the close-up performance of any lens, and is well suited to kit lenses. Whilst a close-up lens filter like this will not give the same close focusing ability as a dedicated macro lens, the filter is a good way of improving close focusing by simply adding the filter to your lens, without the need for a dedicated (and often expensive) macro lens. The HOYA PRO1 Digital Close-up No.3 is capable of producing high-quality images without the image quality problems usually associated with close-up filters. The HOYA PRO1 Digital Close-up No.3 is an affordable way to get into macro photography, without the usual image quality problems associated with some close-up filters. Doesn't seem good value compared to the very reasonable cost of a range of very good macro lenses.